Do you know someone who loves tea? 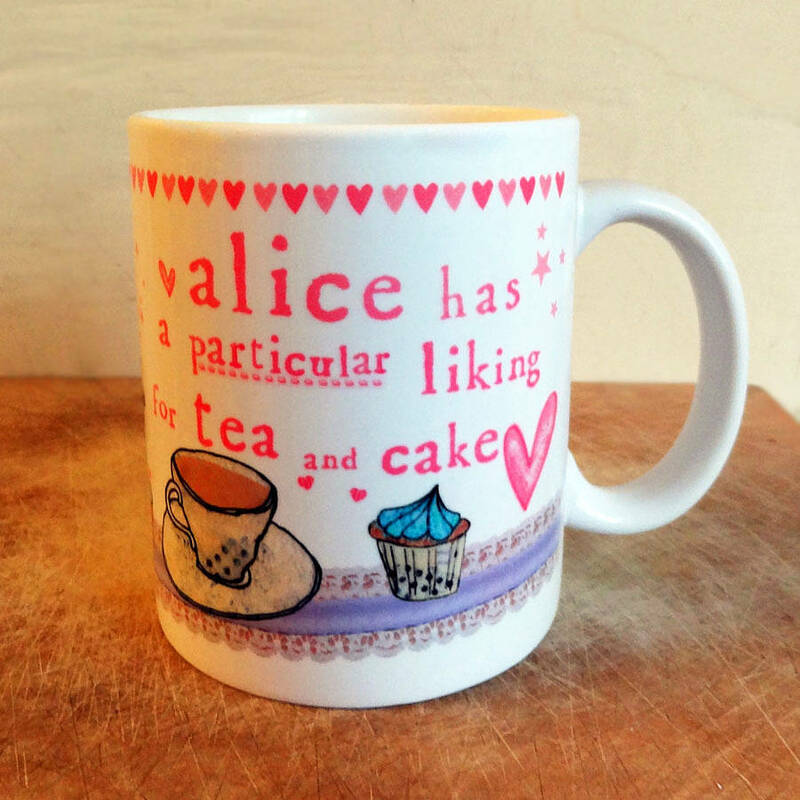 Well these mugs are the perfect personalised gifts for them! These wonderful mugs make fantastic and unique birthday or Christmas gifts for your loved one, family members, friends, children, teacher, boss, colleague.... the list is endless! Add a name to give that lovely personal touch. Up to 14 characters can be added and the name will fit on the mug according to its size. 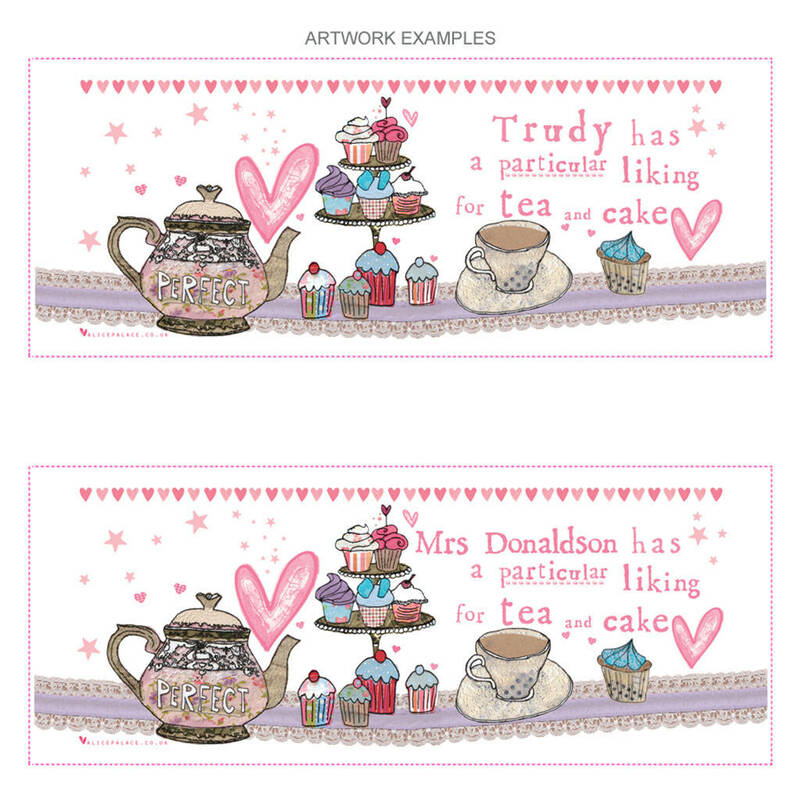 The wording reads: [the name of your choice] has a particular liking for tea & cake. See our matching aprons too in our other products! Mug is approx 9.5cm in height, 8cm diameter.